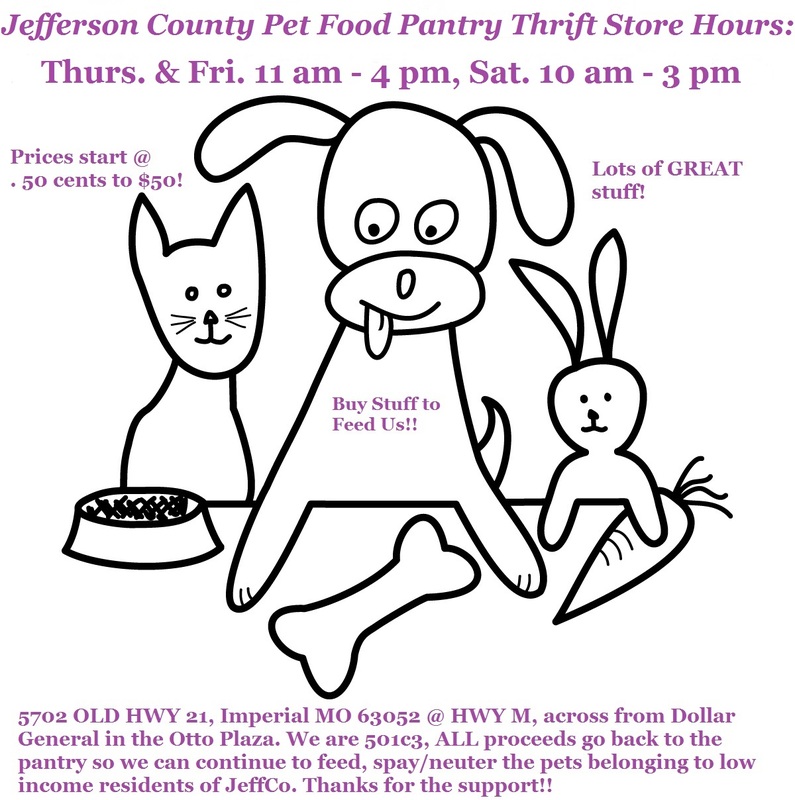 Jefferson County Pet Food Pantry : Shop Our Thrift Store!! All Proceeds Go to The Pantry! Shop Our Thrift Store!! All Proceeds Go to The Pantry! 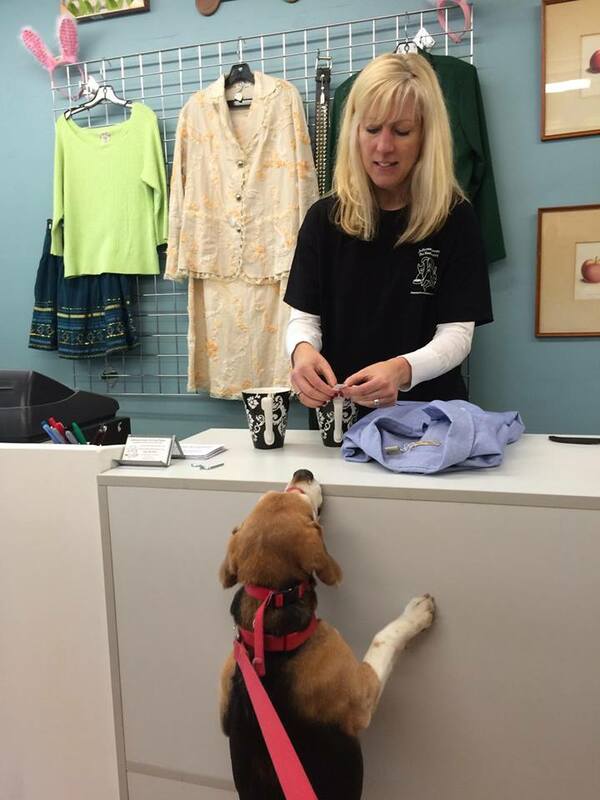 Our thrift store is open Thursday & Friday 11-4 and Saturdays 10-3. 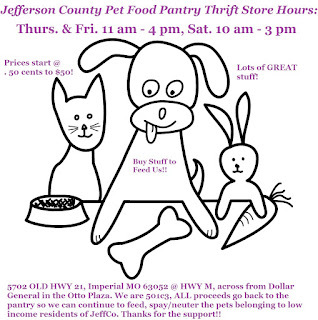 We provide pet food, spay/neuter, education and other services to low income pet owners in Jefferson County, MO insuring beloved pets stay with their families and out of the shelter. Our store is FULL of wonderful books, games, collectibles, men's and women's clothing (lots of designer), purses, antiques, pottery, glassware, dishes, bar-ware, household items, shoes, tons of pet toys, pet clothing, pet accessories, pictures, candles and holders, lamps, vases, figurines, jewelry and MORE!! Everything is priced to sell! We are 501c3, 100% of proceeds go back to the pet food pantry!